I love a bit of fake tan in the Summer or when I’m feeling like I need a bit of a body confidence boost. There’s something liberating about having freshly bronzed skin and it hides a multitude of sins! 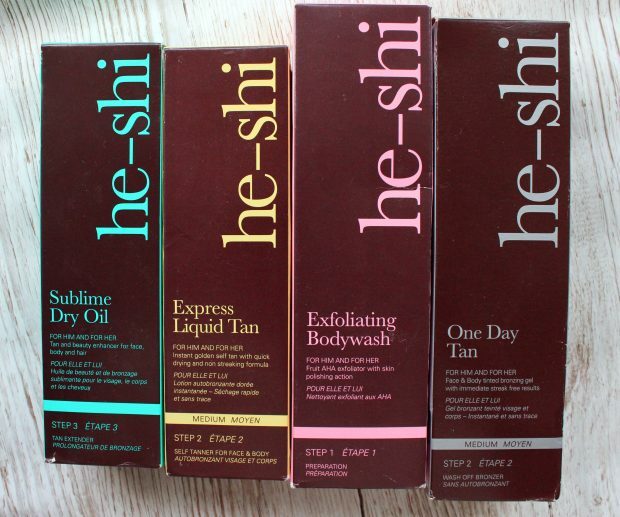 Usually I’m a St Moriz girl but recently I’ve been trying out a new brand for me, He-Shi! It’s always a bit nervy when you crack open a new bottle of tan – what if it streaks, what if it’s patchy, what happens if I waking up looking like the tango man or a stand in for Willa Wonka?! Well I’m here to test all that out for you risking my pale tones to hunt down the best and easiest self tan products! Express Liquid Tan £21 – The main event their fake tan. I used this before my holiday to Cyprus and it was a real winner! I prefer mousse for application but this was still easy to do with the guide colour strong enough to see where you’ve been and it dried very quickly. It smelt a little like biscuits but not too bad and it washed off to reveal a lovely streak free coloured tan. Really love this and highly recommend trying it. Not a lot else to say – it’s awesome! Luminous Shimmer £13 – This is a shimmery body tint that I was worried would make me look like I was going to a 90’s school disco but actually it’s really great. It adds a little shimmer and a bit of glow wherever you apply and it doesn’t tend to budge. It’s not something I’d use on the regular but great for nights out if you want to spruce up your chest in a deep v dress or your legs in those heels! 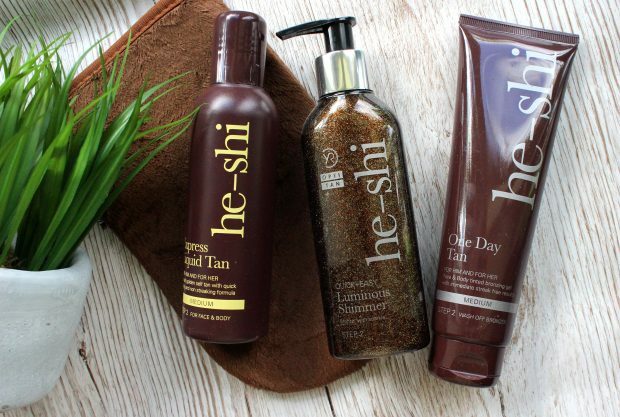 One Day Tan £15.50 – Again I’m not a major fan of one day tan as I worry about transfer but this was pretty good. You need to give it a good scrub to remove it which means it doesn’t rub off if you sweat a little or get rained on. If you like instant tanners then give this a go for sure. Exfoliating Bodywash £4.20 – An essential pre-tan item. This smells nice and does a good job at stripping off dead skin cells ready for your tan. 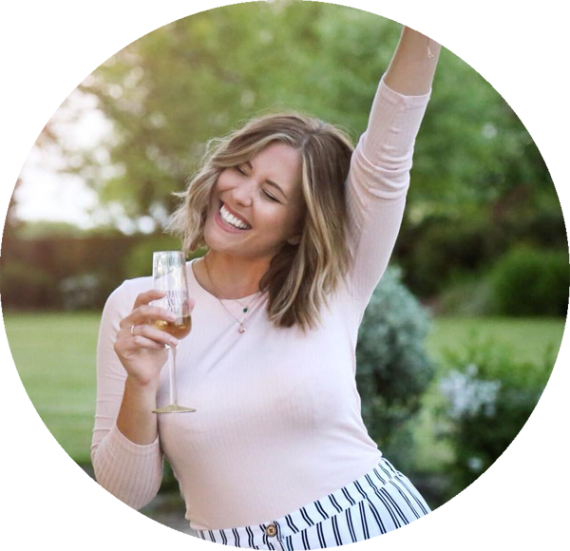 It’s not the best body scrub I’ve ever used but it does what it says on the tin – make sure you watch my fake tan application tips video to see why it’s an essential! 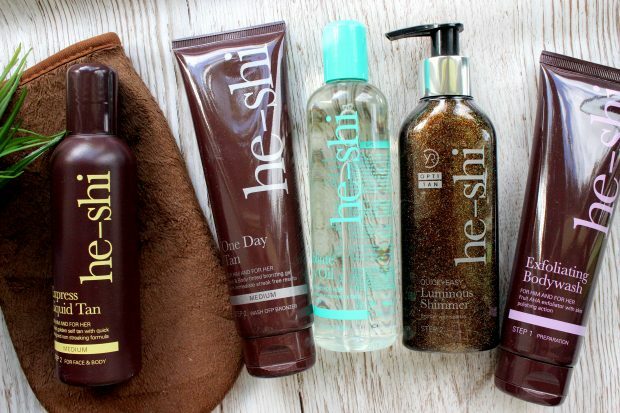 Have you tried anything from the He-Shi range before? What’s your favourite tan?